LONDON - Five men were arrested Friday in connection with a suspected terrorist plot targeting the pope, according to reports. London's Metropolitan Police said in a statement that the men were detained at about 5:45 a.m. U.K. time (12:45 a.m. ET) "on suspicion of the commission, preparation or instigation of acts of terrorism." It said the men, aged 26, 27, 36, 40 and 50, were arrested at business premises in central London. They were then taken to a central London police station where they were to be interviewed by detectives, police said. 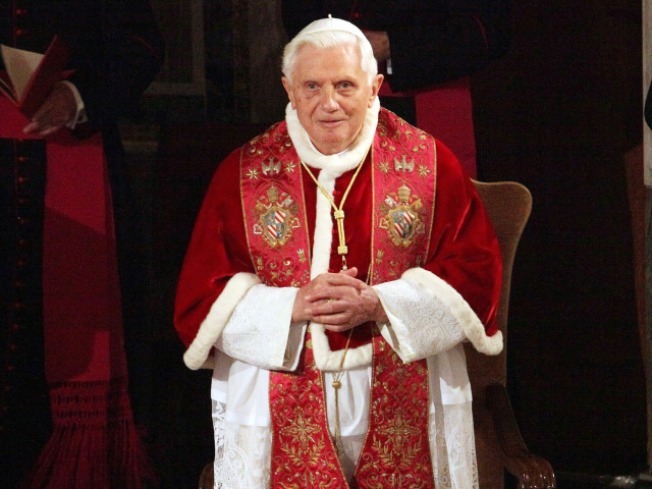 Media reports said the plot involved Pope Benedict, who is on a four-day visit to the U.K. The police statement added: "Today's arrests were made after police received information. Following initial inquiries by detectives a decision was made to arrest the five men. "Following today's arrests the policing arrangements for the papal visit were reviewed and we are satisfied that our current policing plan remains appropriate. The itinerary has not changed." Police said there was no plan to change to the U.K. terrorist threat level and added that initial searches had not uncovered any hazardous items.